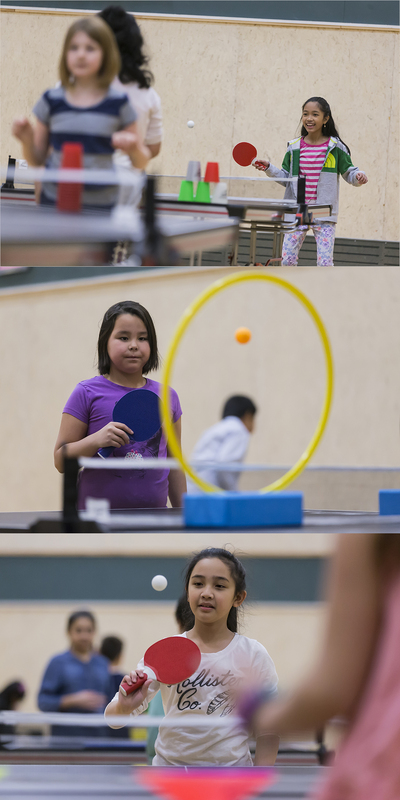 After playing Table Tennis with over 2,500 kids, you can definitely see a pattern. Not that it is a lot of fun, but also an it’s an amazing learning experience for students, teachers and myself. It all starts off with the introduction. “Good Morning everyone!” and right there is the first indication on what the next 30min to 1.5 hours will look like. Most of the time you will hear a very loud “GOOOOOOOOOD MORNING” and we are ready to go. If not, it will definitely come after the full introduction. “So, my name is Thorsten, but you guys can call me THOR” and you can see the smiles on the kids faces. Of course some random comments of “Where is your hammer?” or “How is your dad Odin doing?”, but that is good, that enables them connect right away. And they bring their attention! Having experienced and played many international competitions, I can tell the kids that I will play them with one eye closed, hoping on one leg, my dominate arm behind my back, playing with my non-dominate hand and singing the German National Anthem, all at the same time. It is always fun to see the kids getting excited about it. Guess what? 95% of the kids still say that they can beat me! 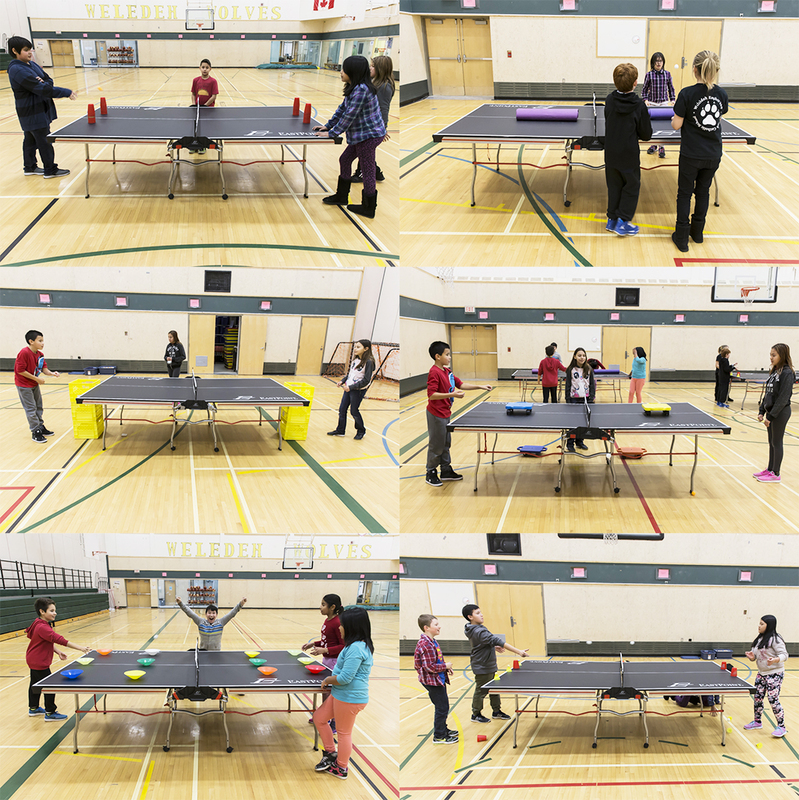 We begin to get the kids used to the table, the balls and the environment that Table Tennis can provide them. There is no need for any rackets at this point, as they need to work with eye-hand coordination first. 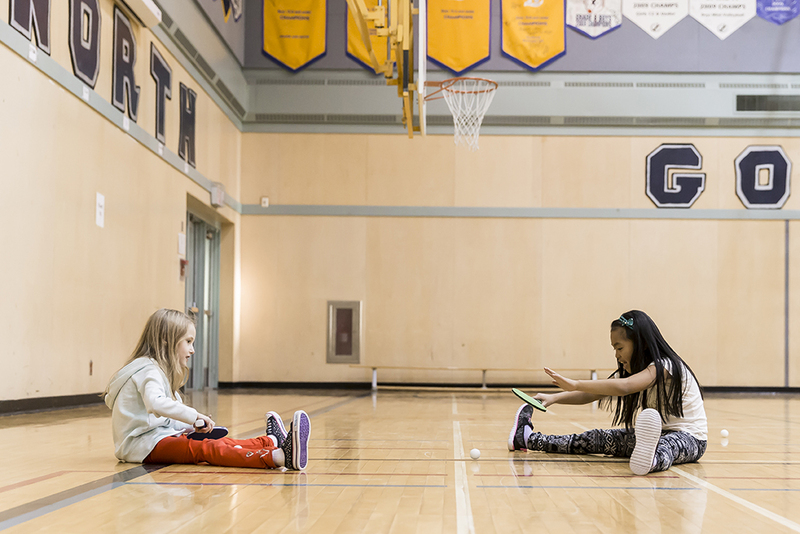 Some fun activities include, try to bounce the ball from one side to another, hitting targets or keeping control of throwing and catching the ball. There are hundreds of possibilities to set this up. Keeping the kids engaged, excited and competitive. Learning while playing, playing and learning! First off, how to hold a racket. There is 2 different kind of grips, can you guess them? If you said Shakehand and Penholder, you are right. We are building a little “parkour” for the kids that will get them moving. Again, the competitive part plays a big role. Going through the ladder, side stepping around the cones, jumping over the hurdles and back into line up. If that sounds too easy, let’s try that with balancing the ball on your racket. Then bouncing. Still easy? Let’s try forehand, backhand, alternating from one side to another. Still too easy? 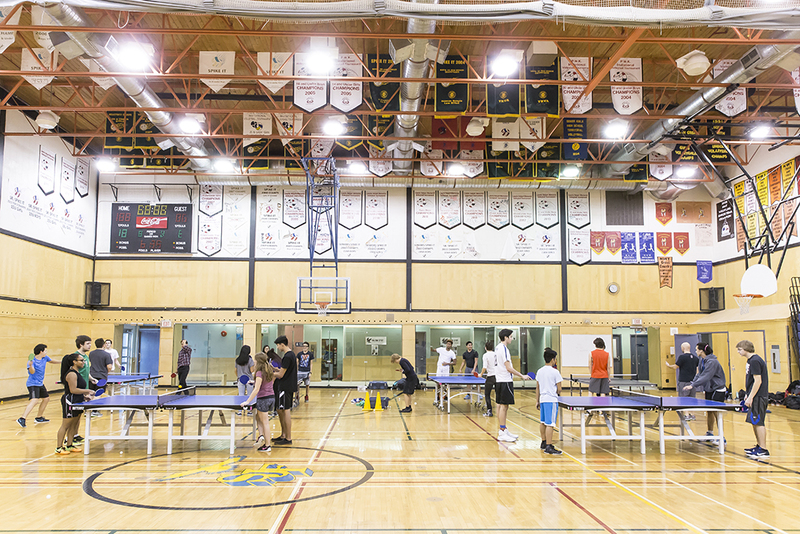 You might be a professional free style Table Tennis Athlete! So, you can see where this is actually going and how many varieties you can add to this. A great way to learn some eye-hand coordination, this time with the racket. 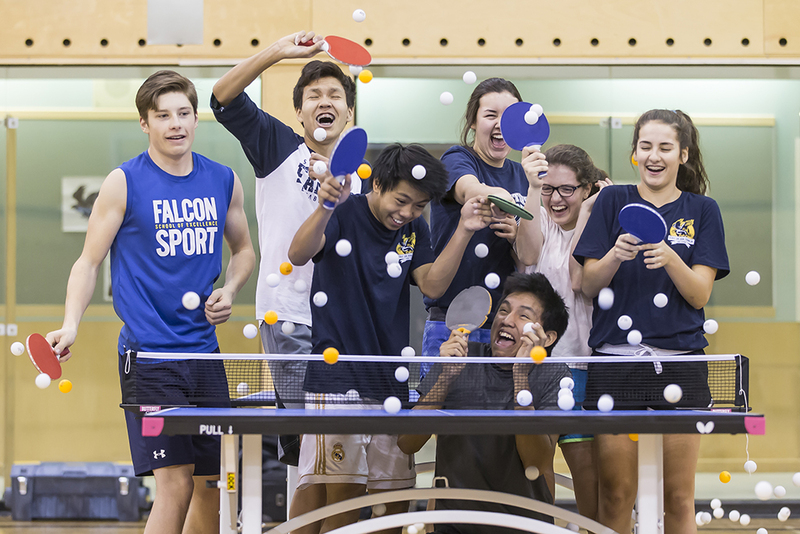 For the younger ones we use balloons instead of Table Tennis balls, always a lot of fun to see the kids get excited about it and even better, a wonderful photo opportunity!!! 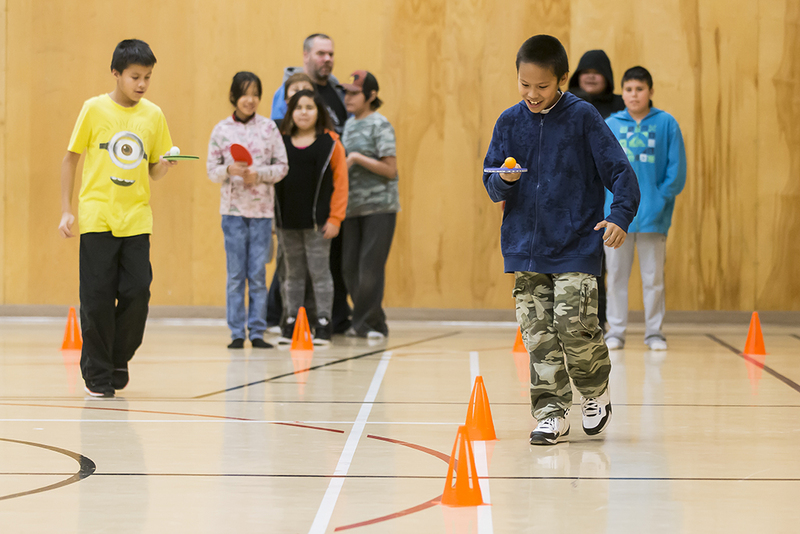 Playing games, competing together, is always a great way to get the kids interactive. Relays are the best way, if you include a few teams and make some obstacles! We are going back to the set up from Day 1, but this time we add the racket. To begin, one person will throw the ball, like a serve, to the other side and then, we hit it back. Working as a team to practice together. Let’s make it easier in self bounce the ball before hitting it back to the other side. When the ball comes to you, try and hit it to yourself, let it bounce one time on your side, and then over. So again, there are ways to make it easier and harder, depending on the experience the kids already have. Everyone worked very hard and now it is play time. We have good basic of skills. Yes, we hear, “When can we finally play at the table?”, but most of the time, the kids are not ready. The skills training may seem like a waste of time, but if you include a challenge, combined with a competition, you will be the winner! So, it’s time to play now! “Around the world” with an obstacle! You have to run through the table. Everyone has a few lives and you loose them if you are unable to play the ball on the the table. BUT, you always loose a life when you actually get hit while running through the table. That definitely adds a fun “kick” to the game. Champions Table is well known among many sports and a favourite for most. The winner moves up a table, the other person moves down a table. At the end, we can see who will achieve the top table. To make it a bit harder, we can add obstacles on the tables, where you can only play on one side or maybe over a higher net, and so on. If you do this for 19 days long, 4 to 9 classes a day, then yes, it is getting repetitive. On the other hand, you are building the foundation blocks for those kids in fundamental basic skills. 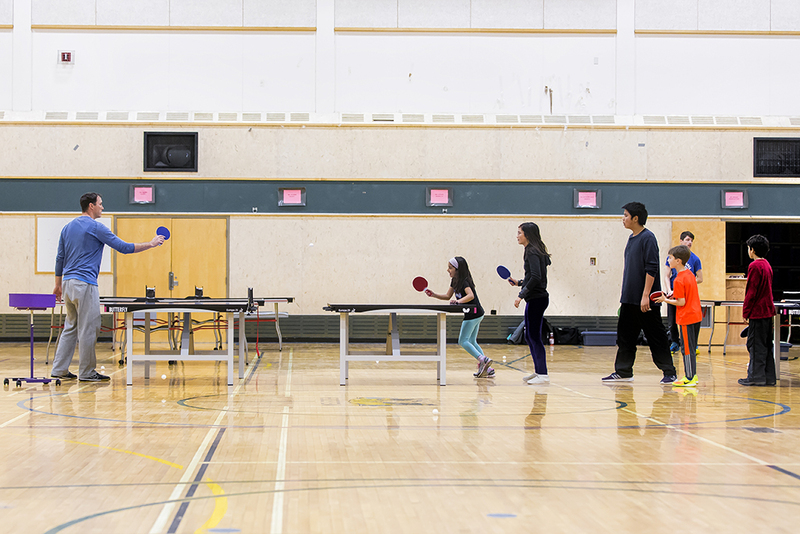 Table Tennis will score 8 out of 9, because it includes agility, balance, co-ordination, catching, throwing, hitting, running and jumping (Paul Noel, Saskatchewan Table Tennis Technical Director). The only one that is not included is kicking. 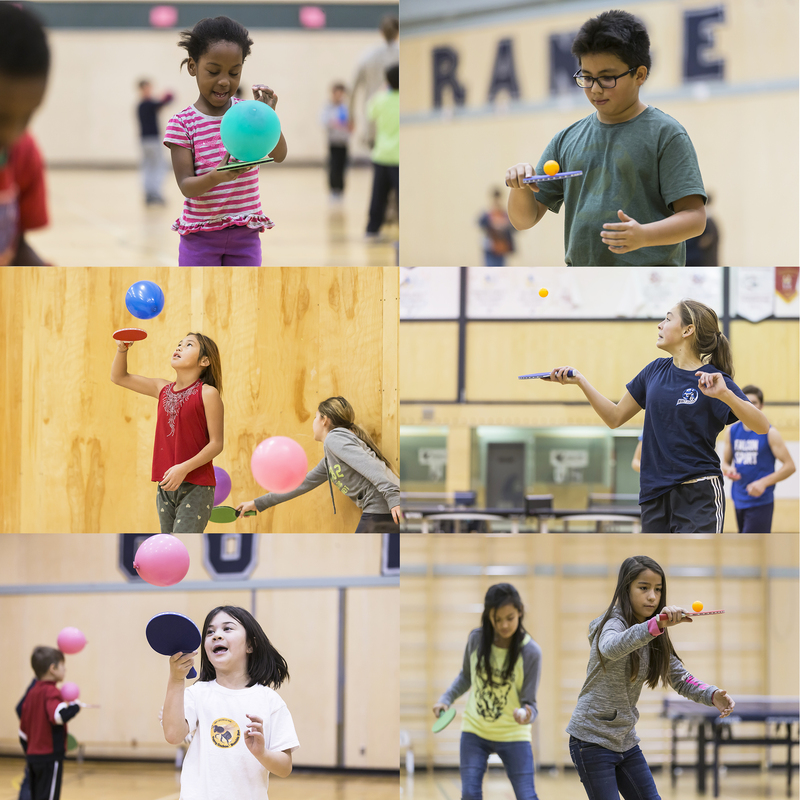 So, not only are we teaching the skills of Table Tennis, we are also supporting skills for overall athletic skills, with a fun sport to play. It always amazes me on how fast everyone can learn. Seeing them being excited about something new is great, actually being able to control the ball for a few bounces for and back, is absolutly amazing. The most important thing of all is to keep them accoupied with competitions and challenges, create obsticles and you are golden. As an experienced coached, you already have 100 different scenerios in your head, but if you start of, be prepared to adjust your plan. The best part of Table Tennis clinics for me is always afterwards. You go shopping, into the restaurant, or just walking on the sidewalk and there is always one kid that says “Hi Thor!” and you just cannot help it, but SMILE … makes my day!